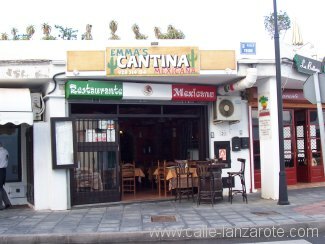 After passing by Emma’s Cantina several times on our last visit to Lanzarote, we finally made it there this time round. 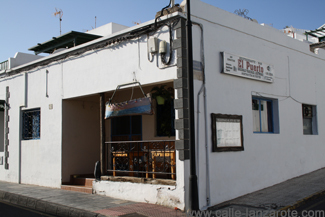 The food is of a very good standard and the menu includes both spicy and non-spicy Mexican dishes. Even the children’s menu has Mexican items on it! The fajitas are worth a special mention – tortillas that you fill yourself with either beef, chicken or prawns and a selection of sauces – as is the home-made “chili rojo”. As we left we were given a voucher for 15% off our next meal if we went back on a Sunday or a Thursday – something we did make use of. On the downside, we felt that most of the desserts were overpriced, with the worst being the „brownies“ which turned out to be three small brownie wedges for 6 Euros (plus I.G.I.C.). A special mention should be given to the German translation of the menu, which is one of the best that we have seen on the island! Our recommendation: go there and enjoy the atmosphere and the excellent Mexican food, but maybe consider an ice cream on the way home as an alternative to the desserts.